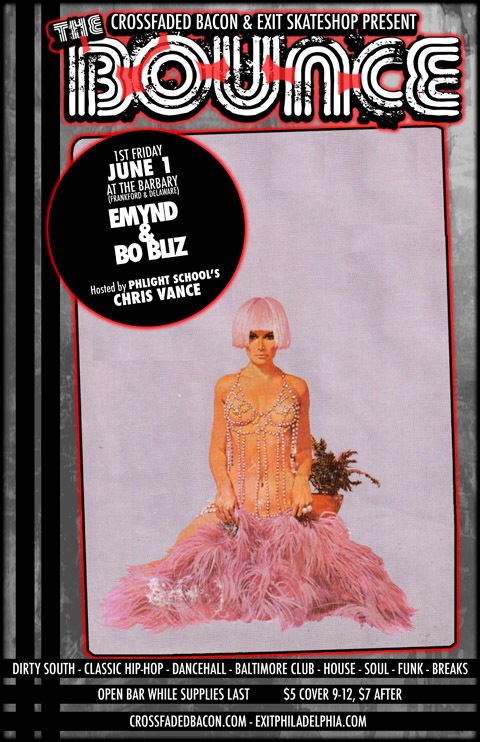 The powerhouse Philly DJ duo, Emynd and Bo Bliz, are the masterminds behind the Record Label/Blog/Clothing Brand Crossfaded Bacon and have been providing Philly with their patented unruly parties like their 1st Friday staple, the Bounce at the Barbary (see the Friday, June 1 flyer here). If you ain’t knowing, it’s hands down, one of the best dance parties in the city. They also run the very unique “It’s the Year” parties along with 215Hiphop at Johnny Brenda’s, where music from a particular year is played for the entire night. It is also where you will most likely run into the BigBite team and friends. It’s a great party if you want to re-live your high school, college, or for the youngins, your daycare years! 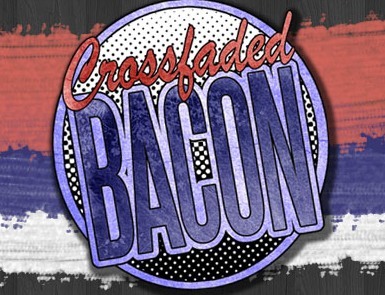 Crossfaded Bacon, as they put it, is a label that specializes in releasing weird awesomeness, and they couldn’t have said it any better. They provide a crazy range of mixes and blends (from Hip-Hop to House to New Orleans Bounce to Baltimore Club) played and danced to, all over the country. Check out their mixcloud and their rotating series of mixes called 1st and 15th where they drop new mixes every 1st & 15th of the month. Also, check out Emynd’s soundcloud for tons of free music and follow him and Bo Bliz on twitter to keep up with their events and new music! These dudes, know what they are doing. Check them out. This entry was posted on Wednesday, May 23rd, 2012 at 11:09 am	and posted in Sponsors, Wing King. You can follow any responses to this entry through the RSS 2.0 feed.